I am a PhD candidate in Sociology at McGill University in Montreal and a Sessional Instructor at the University of Saskatchewan in Saskatoon. In recent years I have worn many hats, from academic researcher, to development consultant, think tank cofounder, public intellectual and statistics instructor. I am currently on the academic job market, seeking post-docs and or a tenure track appointment as a university professor. While I've greatly enjoyed and learned a lot from my many experiences, I love research and teaching most. Check out my Publications and Research pages to learn more about my past and current research. Students and prospective employers can learn about my teaching philosophy and download my course materials on my Teaching page. My Practice page documents some of my earlier work as a cofounder and first Policy Director at Upstream, and my ongoing work as a publicly engaged researcher. I am available for media comment on a variety of topics related to my research. With Axel van den Berg, Hicham Raïq, Christine Proulx and Sam Faustman. University of Toronto Press. With Hicham Raïq. In Sociologie et societies, 45(1): 67-90. With Axel van den Berg. In Social Statistics, Poverty and Social Exclusion: perspectives from Quebec, Canada and Abroad a publication in homage to Paul Bernard. Les Presses de l’Université de Montréal: Montreal, QC. With Raïq, Hicham and Axel van den Berg. In Social Statistics, Poverty and Social Exclusion: perspectives from Quebec, Canada and Abroad a publication in homage to Paul Bernard. Les Presse de l’Université de Montréal: Montreal, QC. With Cordell Neudorf, Daniel Fuller, Stuart Lockhart, Joshua Neudorf, Charles Plante, Hazel Williams-Roberts, Thilina Bandara and Lisa Thurairasu. Saskatchewan Equity Study. The Business Case for a Living Wage in Saskatoon. With Stefan Roddau. Living Wage Saskatoon. With Keisha Sharp. Saskatoon: Poverty Costs. Poverty is a drag on economies. It damages the poor and incentivizes precautionary behaviour that is damaging to the wider economy. My PhD dissertation uses dynamic panel data methods and leading longitudinal household income data to operationalize these "vicious dynamics" in Canada and the United States. I have found that even in rich countries vicious dynamics threaten the entire population, but that they pose the greatest threat to the least well off. Canada is routinely classified as belonging to the group of relatively ungenerous liberal market regimes. But in recent decades there has been a growing divergence between the policies of the province of Quebec, which explicitly aim to match Europe’s most developed welfare states, and the other major provinces, which have tended to follow the North American trend towards neoliberal retrenchment. As a result of a combination of more generous benefits and a successful activation strategy, poverty rates of families in Quebec now compare well with those of the Europe’s most generous welfare states. What Statistics Canada call the low income measure (LIM) is the leading income-based measure of poverty in world. It identifies a poverty threshold that 50% of median national income. But in Quebec, a modified LIM is used—one which defines the LIM as a fraction of provincial income. What are the implications of this choice for poverty measurement in Canada? Experts define social capital as capital that is 'relational'. That is it is something that can be invested in and traded for other forms of capital, and it is something that exists between people. Bill Reimer distinguishes between four kinds of social capital. This research uses big data to explore the impact of "relational capital" on rural communities throughout Canada. A number of social commentators accuse the Baby Boomers of hijacking the welfare state. Ironically, it used to be the Baby Boomers that commentators were afraid would end up not receiving their fair share, as their large relative size would lead to economic and social shortages. This research proposes and estimates a model that differentiates between absolute and relative demographic on state expenditure to settle once and for all whether the Baby Boomers have indeed, "run away with the family silver." An extensive literature in economics explores different returns to levels and kinds of schooling for people from different socioeconomic backgrounds. Risk, defined operationally as the expected variance of these returns, is an under appreciated dimensions of these returns. When differences in risk are also taken into account, socioeconomics gaps in returns to schooling are even greater than they seem at first glance. For a generation or more employers have striven to maximize profits by keeping labour costs down. But workers need wages to support themselves and their families, and be fully productive members in modern society. Low wages can lead to poor customer service, high turnover, absenteeism. Might we think of the living wage as a kind of 'minimum optimal wage'? How can we identify this wage level, and is paying it good for business? According to a number of influential reports—including my own, Poverty Costs Saskatchewan—poverty is expensive. Not only are there good moral reasons to act on poverty, there are also sound economic reasons. But the estimates in these reports draw on largely outdated methods and data. Beyond motivating a call to action, it is unclear to what extent they can be used to inform the particulars of routine policy decision making. How can they be improved? I believe that the best way to teach students statistics is to have them work with real data to answer questions related to topics that are important to them. In my courses, students learn to analyze raw Statistics Canada survey data using leading statistical clients. Learning is structured in five stages that reflect the actual research process: 1) thinking in variables, 2) finding data, 3) cleaning data an creating variables, 4) analysis and inference, and 5) drawing conclusions. Data is transforming the world we live in. In this course students are introduced to data, and then learn basic skills for analyzing it, and harnessing its power to make inferences about the real world. Over the course of the term, students locate and work with Statistics Canada data to analyze a variable that is related to a topic of their choice. In SOC 225 students learn about distributions and statistical inference, but they only consider variables in isolation of one another. In SOC325, students begin to consider relationships among variable and causality. Once again students locate and work with Statistics Canada data, but this time to analyze a relationship that is related to a topic of there choice. The second half of the term introduces students to regression analysis. I believe that sociology provides the world with valuable knowledge. Unfortunately, we are not always the greatest at ensuring that people have this knowledge when they need it. A couple of the best ways to overcome this are to collaborate outside our discipline and sector, and to actively participate in the communities in which we live and work. In recent years, I have had the privilege of supporting and/or leading many research initiatives beyond the academy. In 2013, a number of us worked alongside Saskatoon-based family doctor, Ryan Meili, author of A Healthy Society: How a Focus on Health Can Revive Canadian Democracy, to found the think tank Upstream: Institute for a Healthy Society. Simply put, Canadians care deeply about their health, and the health of their loved ones. 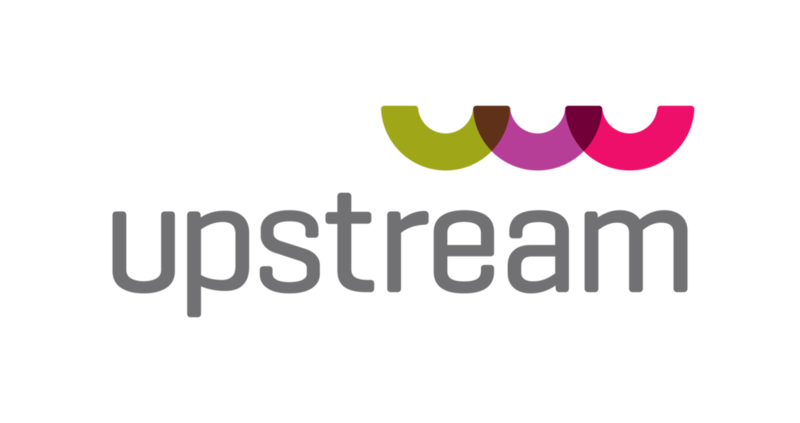 Upstream strives to bridge the gap between laymen and expert knowledge of the social determinants of health in order to get them excited about the importance of politics and social policy in their lives. I served as the organization's first Policy Director from 2013 until 2015. Through my work as the Policy Director at Upstream, I met many extraordinary people and became involved in a number of community lead research efforts, some of which I continue to be involved with to this day. In 2015, I calculated the living wage for Saskatoon, and made the business case for said wage in a widely shared report. In 2016, I updated these calculations for Saskatoon and worked closely with partners in Regina to calculate the Living Wage for that city, and nearby Weyburn. These days, Living Wage Saskatoon is working on an accreditation process for recognizes and celebrating living wage employers in our community. Poverty Costs Saskatchewan was a campaign to raise awareness about the costs of poverty in Saskatchewan and to give the people of Saskatchewan a chance to voice their support for a comprehensive poverty reduction strategy. I calculated the $3.8 billion cost of poverty figure for Saskatchewan that became the focal point of the campaign. Following months of public campaigning and behind the scenes collaboration with policy makers, one of the my proudest moments of my career as a researcher came when the Government of Saskatchewan committed to creating a comprehensive poverty reduction strategy in late 2014. Photos: The Precarious Generation, Ottawa, 26/10/2016 (Andrew Meade); Living Wage Saskatoon Employer Appreciation, Saskatoon, 02/11/2016 (Linh Le); The Precarious Generation, Ottawa, 26/10/2016 (Andrew Meade); "$16.77 hourly identified as Saskatoon’s living wage", Saskatoon, 28/10/2016 (Global Saskatoon); Broadway bridge and Saskatoon skyline at night, Saskatoon, 08/02/2006 (Jay Van Doornum).